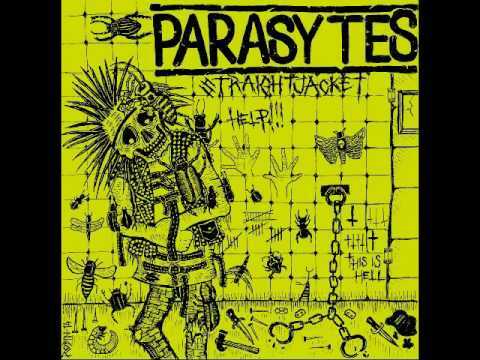 Home › • PARASYTES - Straight Jacket 7"
• PARASYTES - Straight Jacket 7"
British &apos;80s influenced punk somewhat in the vein of early Sacrilege, but with more punk rock, almost Chaos U.K.-styled, thrown in. Great riffs, great rhythms and… well, just great overall. You can pogo, while still wearing your crusty vest, to this. Parasytes hail from Montreal, Canada and have Jannick (from After the Bombs/Truncheons) and Tom (from Napalm Raid).